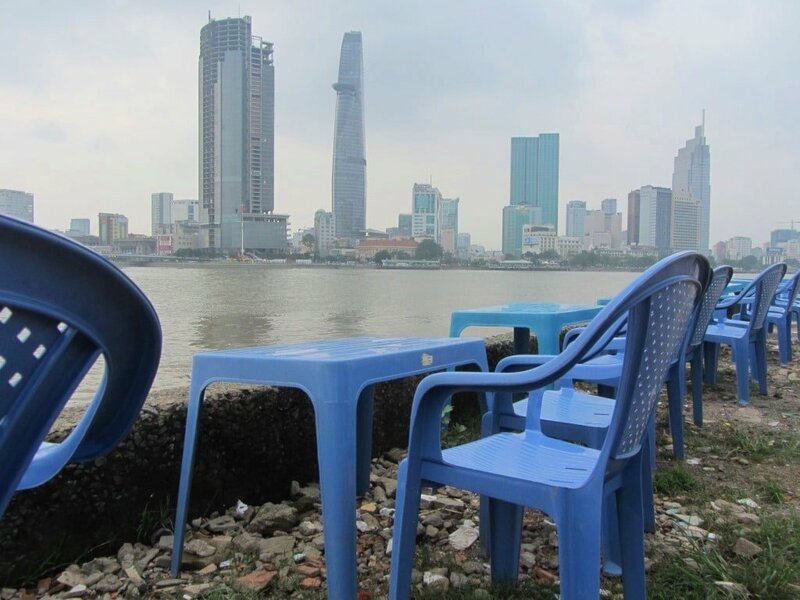 When I first came to live in Saigon, my friend Sam and I found relief from the clamour of the city by sitting on the banks of the Saigon River, in District 2. 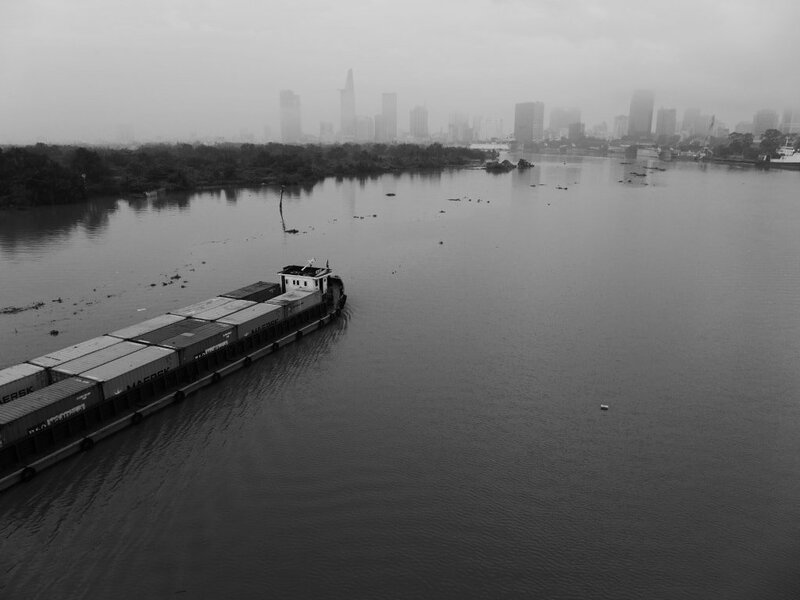 From here, we could look back across the muddy water to downtown District 1, where the traffic, noise, and chaotic swell of Saigon was at a safe distance. Watching the Mekong barges come chugging upriver from the Delta, and the rusting hulls of Soviet-era tankers unloading their cargo, made me feel much more at home in Saigon. I knew I would grow to love this river. Perhaps this had something to do with having grown up in another city with a muddy river flowing through it: the Thames. 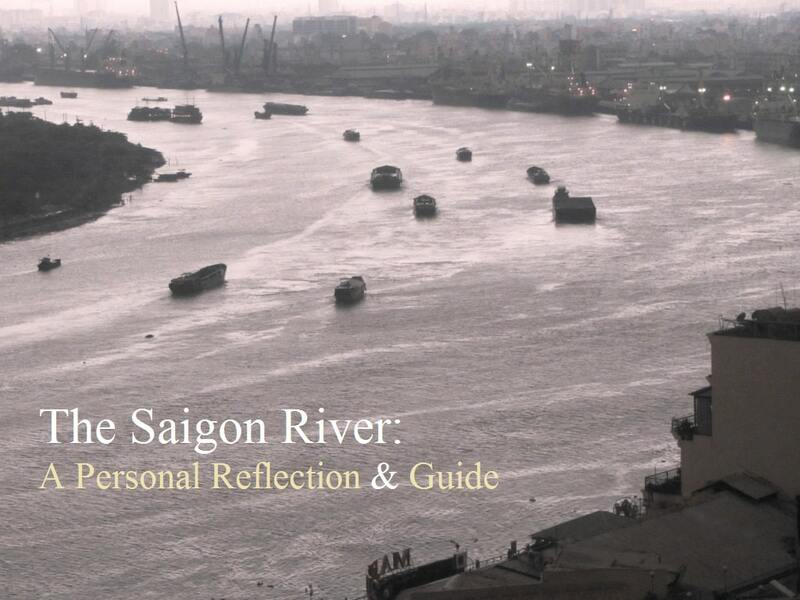 Below is a personal reflection on the Saigon River and a guide to viewing the waterway that flows through my adopted home. The first time I saw the Saigon River was as a teenager in 1999. My flight from Kuala Lumpur was on descent to Tan Son Nhat Airport. The plane banked left and I glimpsed, through the clouds, a rust-coloured trail weaving its way into a city of rust-coloured tin roofs. It looked, to me, like a large spillage of coffee: as if a god had left his or her teacup in the middle of Southeast Asia and absentmindedly knocked it over, causing rivulets of brown liquid to spread south, meandering towards the East Sea. A river is the seed of any city that lies on its banks: without the river, the city would not exist. Most major cities with a long history are closely associated with their river: Rome has the Tiber, Paris the Seine, London the Thames, Cairo the Nile, Bangkok the Chao Phraya, and Saigon has the Saigon River. But, despite the city and the river sharing the same name, not much is made of the Saigon River. In the late rainy season of 2005, I moved from London to Saigon. On my first night in the city, I went for a walk. I choose my route so that I would end up at the river. This, I thought, was bound to be where I’d find the heart of the city: both banks built-up and buzzing with life; the water shimmering with the reflection of all the lights of the city. But, when I got there, it felt as though Saigon had turned its back on the river. Only one side was built upon; the other was in darkness and mostly uninhabited. There were no bridges, no riverfront cafes, and most of the major buildings appeared to be facing away from the river. During French colonial times, things were very different. 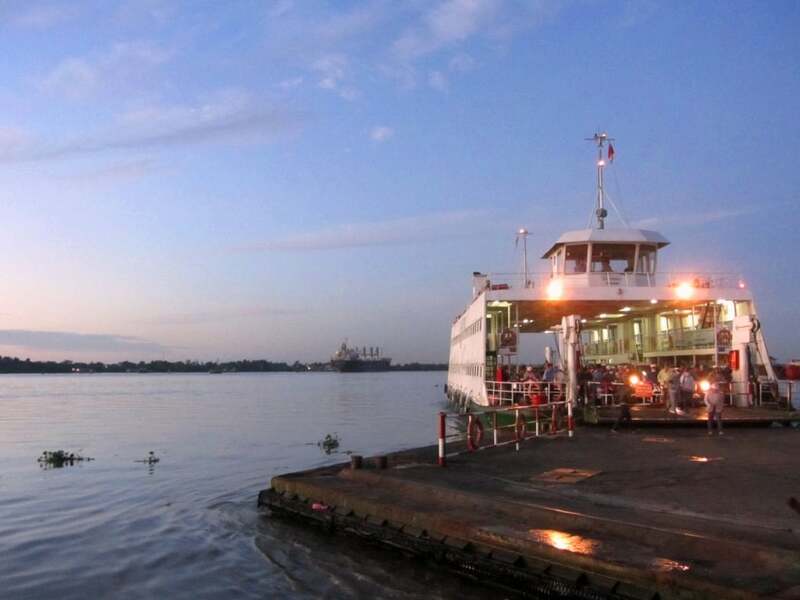 Back then, the majority of travellers arrived in Saigon by river: their first impressions of the city were from the deck of the vessel they were sailing on. French town planners, therefore, orchestrated the street layout of the city in such a way that the architectural showpieces of Saigon were visible from the water. 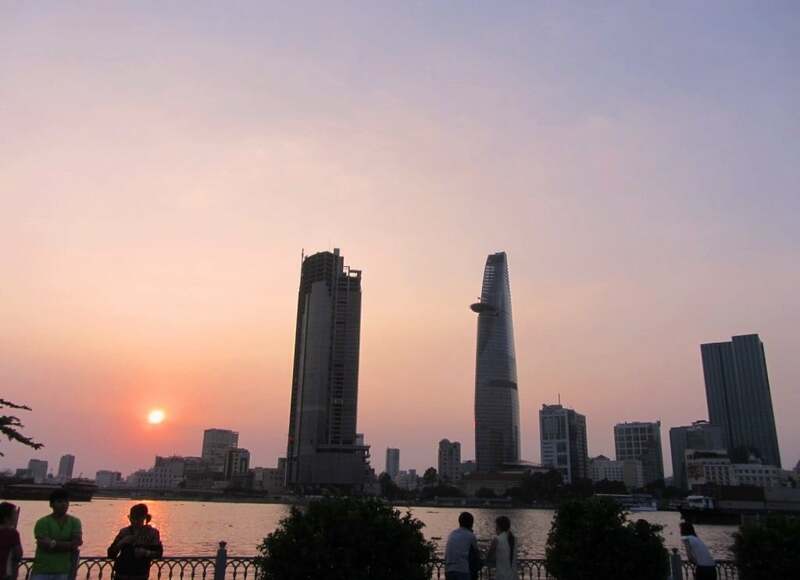 Broad, tree-lined boulevards fanned out from the boat piers on the Saigon River, offering direct lines of sight to some of the most important and impressive buildings in the city, such as the Hotel de Ville and Notre Dame Cathedral. Although the basic street plan, laid out by the French, still exists in Saigon today, it’s lost its coherence, and there’s no longer any sense of theatre when viewed from the river, or even when approaching the city by boat. However, recent projects, like the Nguyen Hue pedestrian street and proposed redevelopment of the riverfront park, may bring the city and its river back together again. Cities are built on rivers for various strategic and practical reasons: trade, transportation, fresh water, as a natural barrier and line of defense and, let’s face it, waste disposal. However, as much as a river can be a lifeline for a city, it can also be a threat. The same waterway that opens up opportunities for trade with the outside world, also presents a way in for potential enemies, and exposes the city to attack. This is what happened to Saigon in 1859, when the French fired on the citadel from their ships on the Saigon River, thus ushering in nearly a century of foreign rule in Vietnam. Rivers, especially in tropical monsoon climates like Vietnam’s, also carry the danger of flooding. 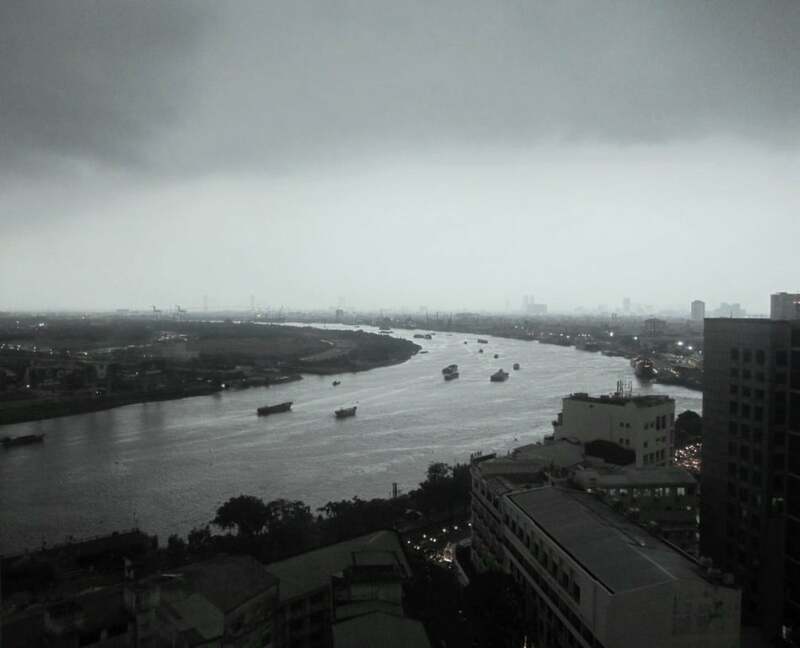 The Saigon River has always flooded: even today, heavy rains at high tide cause major flooding and disruption to the city every year. Indeed, the city’s name may originate from the Chinese-Vietnamese word for the kapok trees that used to line the flood dykes surrounding the city. 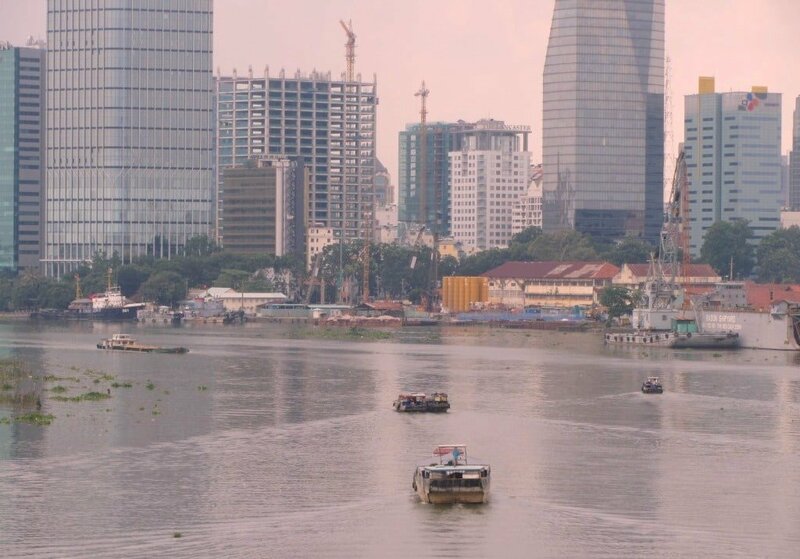 Perhaps then, it shouldn’t come as a surprise that Saigon has turned its back on its river. 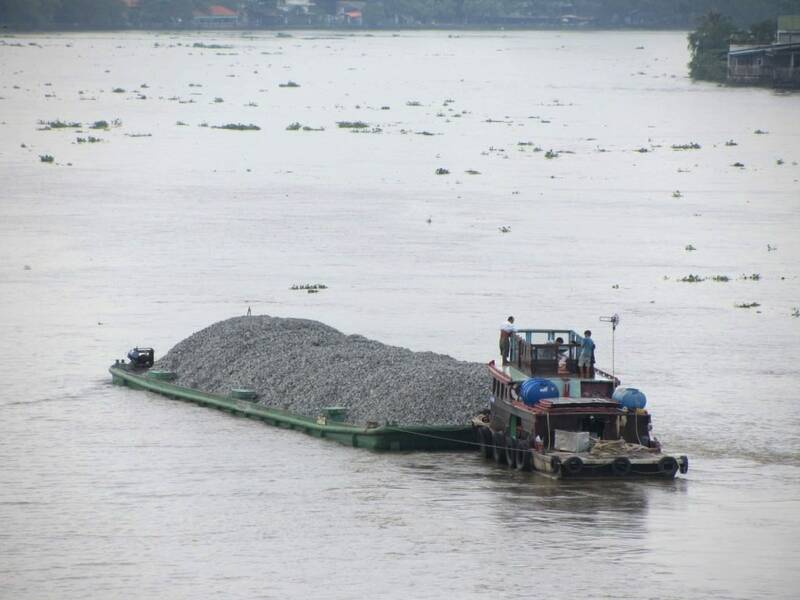 However, although the city may appear to ignore its main waterway, the Saigon River is still a constant presence. Whether you’re crossing the various watery tentacles – channels, creeks and canals – that branch off its main course and worm their way into the city’s neighbourhoods; or hearing the sound of fog horns in the dead of night, droning through the heavy rains and humid air; you’re always aware of the river; it’s always there, still flowing, still part of the city with which it shares its name, and to which it ultimately gave birth. I spent the first 22 years of my life in London, which is, of course, another big city on the banks of a wide, meandering, muddy river. I loved the Thames: as a kid, I waded through its mud with my dad on Sunday mornings, scavenging for interesting bits and pieces; and, as a student, I ate my lunch and wrote my essays in cafes on the South Bank. But, I was always aware that the river’s heyday, when it was the largest port in the world, was over. Much of the Thames in London seemed more like a museum than a living, working river. 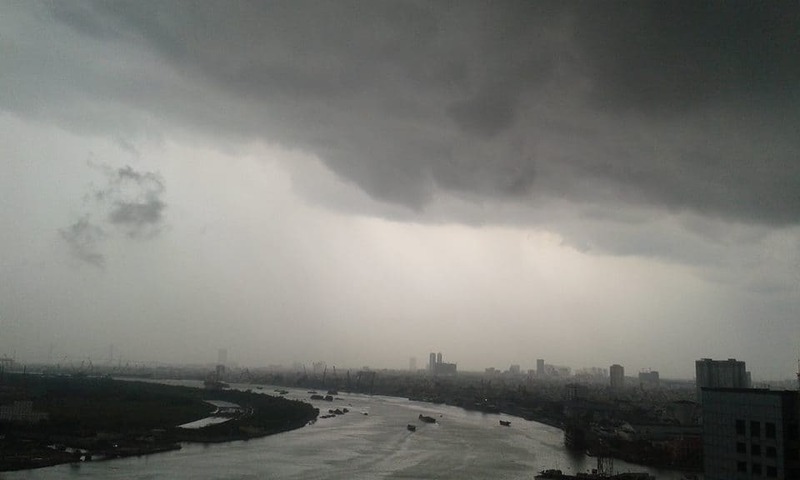 The Saigon River, on the other hand, may well be entering its glory days. 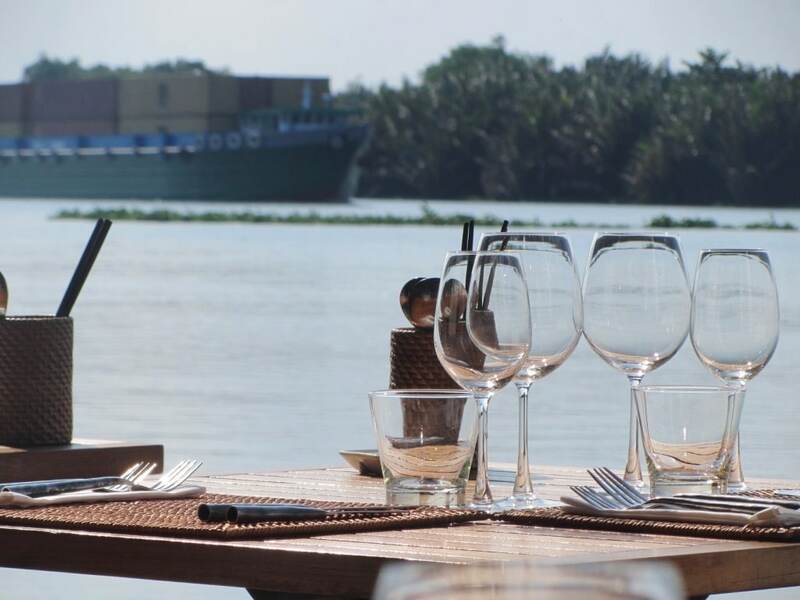 The Saigon River is emerging, along with the city as a whole, as a busy, commercial hub with huge and exciting potential, at least as far as shipping, industry and development is concerned. 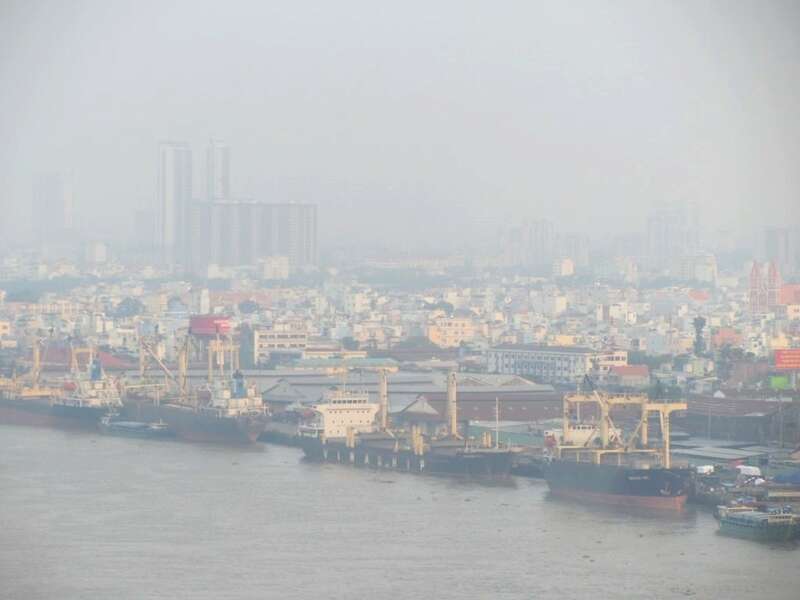 Saigon Port is now the 24th busiest container port in the world. 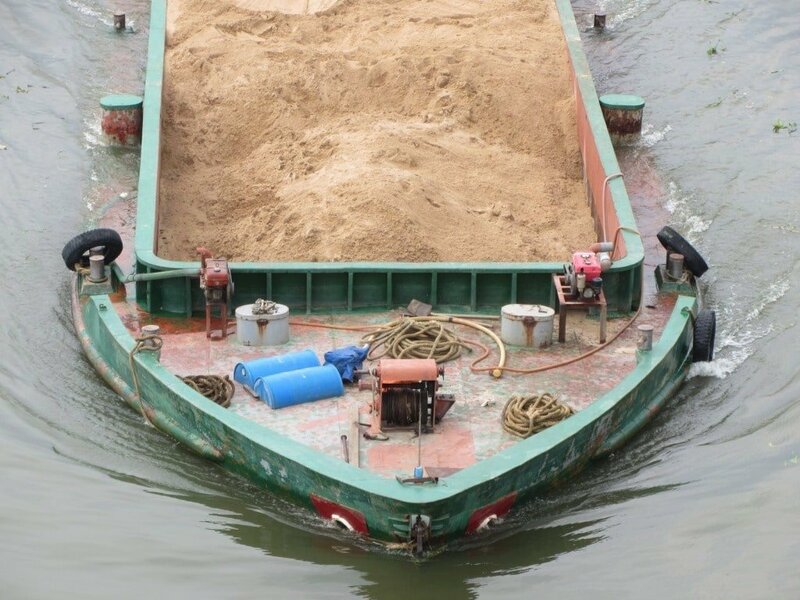 There’s a constant flurry of boats of all sizes ploughing the viscous brown water: tankers, cruise ships, Mekong barges, river taxis, floating restaurants, industrial barges, private yachts, military vessels, and motor-canoes. Industrial zones, new ports and bridges are being constructed up and down river. The Thu Thiem area in District 2, across the water from downtown District 1 (where Sam and I used to enjoy respite from the city), is finally being developed. The Thu Thiem New Urban Area is one of many massive projects that will transform the relationship between the city and its river. 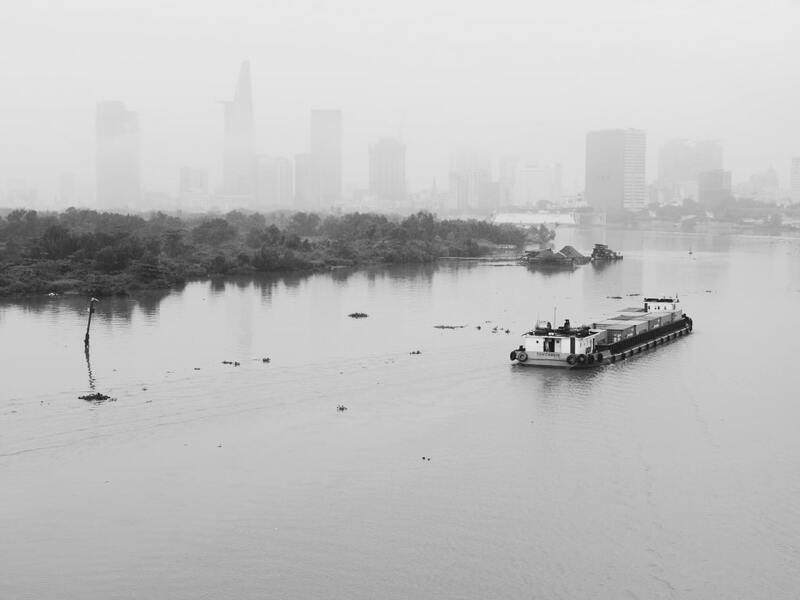 It looks as though Saigon is beginning to turn and face its river once again, making the most of the natural space and cooler air that the river provides, and exploiting its commercial potential. Inevitably, all this comes at a huge environmental cost. The Saigon River is lined with over 50 industrial estates. From its source in Cambodia, the river takes a hard course: running through some of the most industrialized provinces in Vietnam, in and out of the country’s most populous city, then joining an even bigger river, the Dong Nai, before flowing into the East Sea just south of Vung Tau. Some researchers suggest that the river is actually in the process of dying, due to massive amounts of pollution dumped into it everyday. However, despite much of this pollution coming from the industries lining its banks, it is apparently domestic sewage – household waste disposed of directly into the river – that causes the majority of pollution. This entry was posted in ALL, DESTINATIONS, Saigon, The South and tagged blog, guide, Ho Chi Minh City, river, Saigon, travel, Vietnam. Bookmark the permalink. Great article. Thanks. 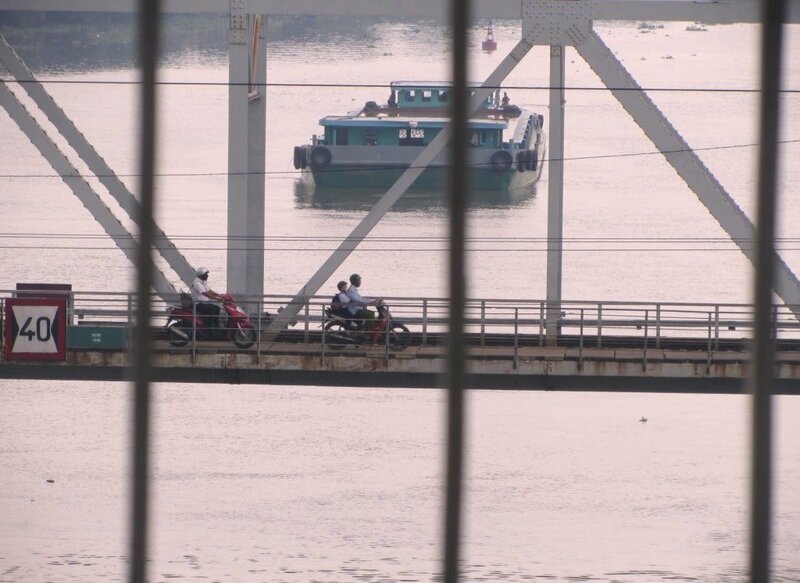 Are private boats allowed on the Saigon river? If so are there boat launches, docks, marinas or slips? I see Vinhomes Central park is building slips to dock boats. It seems too big just for those water taxis. I watch in anticipation as the river is developed for more to enjoy. I’m sure that’s the idea for the future, but I don’t know for sure. I’ve seen one or two yachts that look like private ones, but I would imagine there’s a lot of bureaucracy and who-you-know (or just money) involved in getting a permit at the moment. But I’m just guessing. Unlike the coast, there doesn’t appear to be many roads that run parallel to the river (at least within view of the river). Do you have any recommended route if someone wanted to travel the length of the river? If you ride over the Thu Thiem Bridge or under the Thu Thiem Tunnel to District 2 and explore the roads near the river banks there you can find some excellent vantage points of the city. It’s in a constant state of flux over there though, because of all the construction. Yes, I’m pretty sure you can still take the boat from Saigon to Vung Tau. 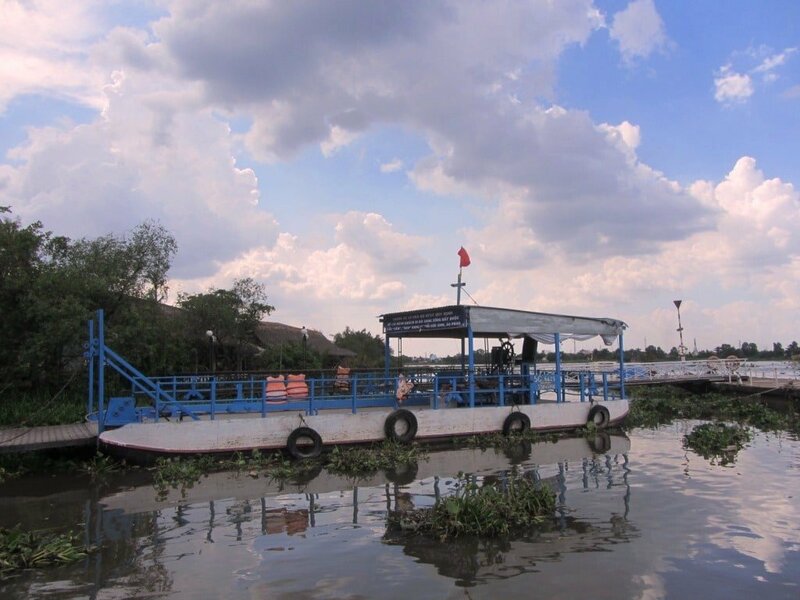 You can also hire boats to go out on the Saigon River for a couple of hours too. Thank you Tom for your prompt reply. I will watch the video link when I have some spare time. Hi Tom, Good article I enjoyed it. Perhaps you can answer a question for me. 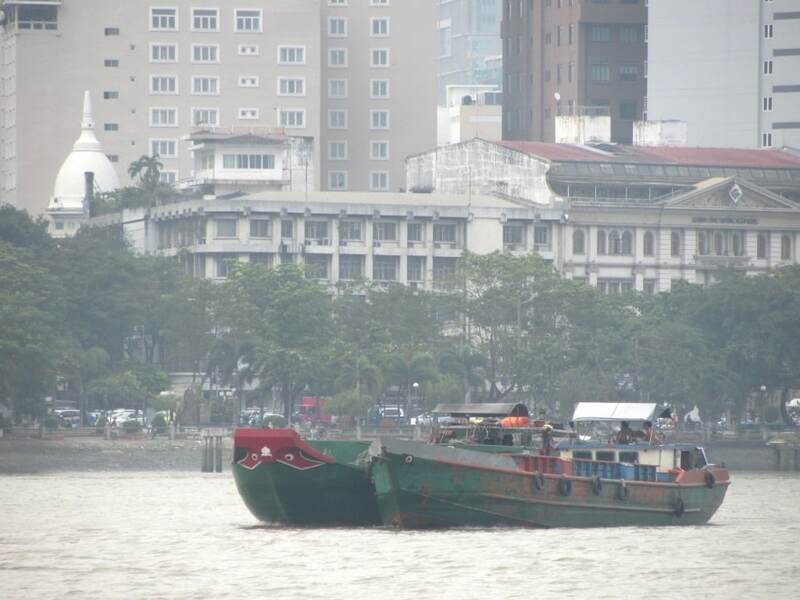 I recently sailed into Ho Chi Minh City on a cruise liner up the Saigon River. We sailed passed a number of strange grey buildings approx. 6 stories high with what appears to be lots of bird noises emanating from them. Are they some sort of bird farms? Perhaps you can enlighten me. Yes, they are indeed bird farms, of a sort: the bird sounds – some recorded, some genuine – attract swifts or swallows to nest in the buildings. Then people harvest the nests (which are made of the birds’ saliva). The nests are then sold (at very high prices) to be used in various forms of cooking – the nests are said to have certain medical properties. Some ‘farmers’ get very rich from harvesting birds’ nest. I have to congratulate you on the quality of your posts! The knowledge is one thing but the way you present it is fantastic.